It was reported on Friday that well-known industrial designer Marc Newson will be joining Apple to work as part of close friend Jony Ive's design team in an as-yet-unannounced capacity. Apple informed Vanity Fair of Newson's hire, saying the renowned designer will remain based in the UK and continue to work on outside projects, but plans on making frequent trips to Cupertino, Calif. to work with Ive's design team. Newson's exact role or title has not been announced. "Marc is without question one of the most influential designers of this generation," Ive told the publication. "He is extraordinarily talented. We are particularly excited to formalize our collaboration as we enjoy working together so much and have found our partnership so effective." Ive and Newson have long been friends and the duo recently worked in cooperation with U2's Bono to curate a (RED) charity auction last year that raised some $26 million. At the time, Newson, along with Ive, spoke to Sotheby's about the tenets of design, a video of which can be found below. Although his role at Apple remains secret, Newson has designed a number of consumer and bespoke products, including watches and clocks. Among his many projects, which include high-end designs like Jaeger-LeCoulture's Atmos clock, Newson started a Swiss watch company called Ikepod. The watchmaker filed for bankruptcy in 2003 and Newson is no longer affiliated with the firm. In 2005, Newson was named in Time's 100 most influential people list and his work has been featured by a number of museums including MoMA. "I'm full of admiration and respect for the extraordinary design work that has been produced by Jony and the team at Apple," Newson said. 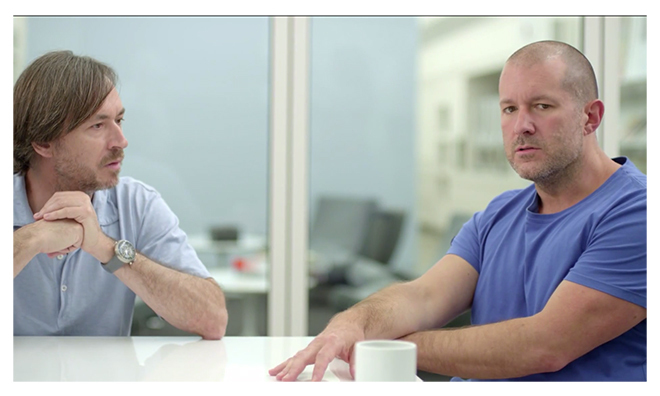 "My close friendship with Jony has not only given me a unique insight into that process, but the opportunity to work together with him and the people that have been responsible. I am enormously proud to join them." Newson is Apple's latest high-profile hire and comes on the heels of a Beats acquisition that brought rapper Dr. Dre and music mogul Jimmy Iovine into the fold. Apple also scooped up former Burberry chief Angela Ahrendts in 2013 to head up retail, while Saint Laurent's Paul Deneve was hired earlier that year to work on "special projects" under CEO Tim Cook.